If you love coffee, you can now grind and brew your coffee for the real taste. Enter contest below and get a chance to win yourself a coffee maker. Disclaimer: Deliciously Savvy did not receive any form of compensation for this giveaway. Once winner is selected via the Rafflecopter process, the product will be shipped. Winner has 48 hours to respond or another winner will be chosen. Work Money Fun or other blogs associated with this giveaway are not responsible for the product shipment. 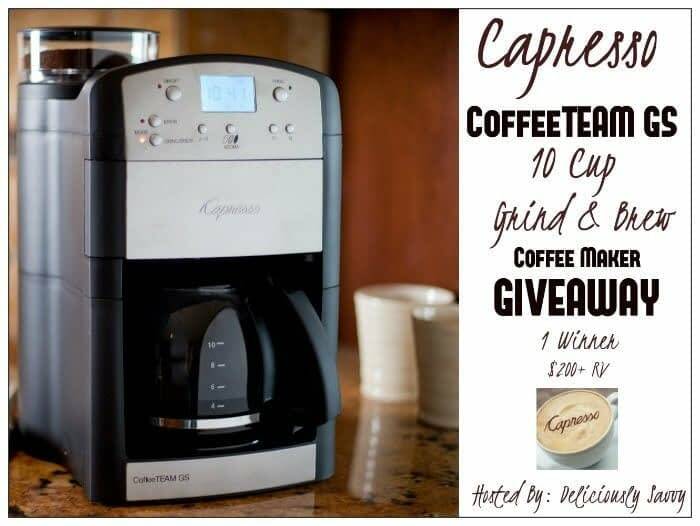 Capresso will be providing the prize above to the winner of coffee maker sweepstakes. Thank You for stopping by! Any Questions or Concerns email me at mcushing7 (at) hotmail (dot) com. The Espresso & Cappuccino Machine would be an amazing addition!! I would like to try the Cool Grind PRO. 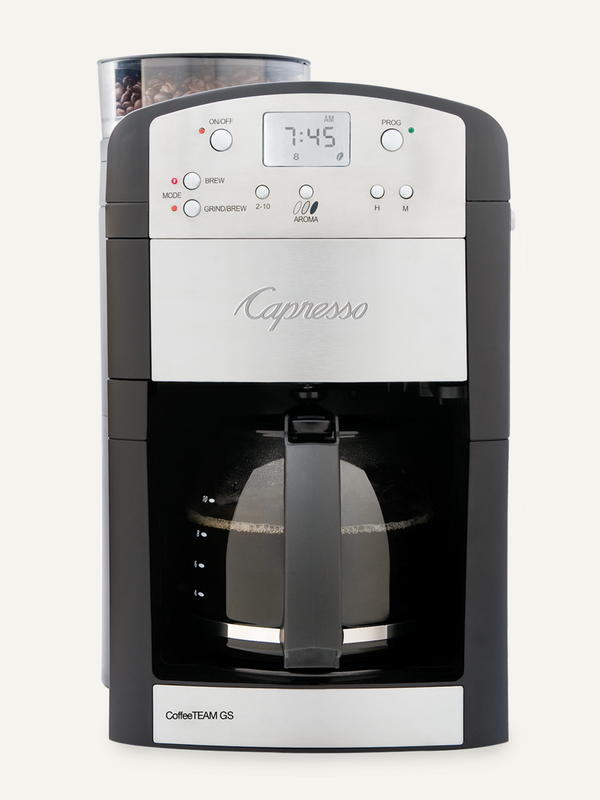 I would like to see the Coffee Team Pro Plus in a sweepstakes ! Yum! This looks amazing. Great giveaway! I would like the Iced Tea Maker. I would like to have this device to brew tea. This would sooo awesome!! http://www.capresso.com/milk-frothers/froth-control.html, to make Hot Chocolate. I like the Coffee TEAM PRO Plus with Thermal Carafe. I would love to grind my own coffee beans.